Part of the SECRETS—a series of seven linked novels that can be read in any order. Kelley Armstrong is the author of the Cainsville Modern Gothic series and the Age of Legends YA fantasy trilogy. Her past works include the Otherworld urban fantasy series, the Darkest Powers and Darkness Rising teen paranormal trilogies and the Nadia Stafford crime trilogy. She also co-writes the Blackwell Pages middle-grade fantasy trilogy as K.L. Armstrong with M.A. Marr. Armstrong lives in southwestern Ontario with her family. For more information, visit www.kelleyarmstrong.com. This story had some spooky moments. A lot of intriguing moments too, where you had to keep turning the page to find out what happens. Very fast-paced. Not a story premise that I've read before. That in itself was appealing. It helped that this psycho-ghost story lured you in. I like the author a lot. There's an ease to her writing that has you reading for hours, without realizing how much time has past. You could help up reading a couple of hours and not really know it. I'd love to know more about these characters too. The story came to a close, I get that, but I think it would be cool if Tess and Jackson embarked on another journey. I'm pretty invested in these characters. Enough so, I don't really want the story to stop. That's good writing at work. Fans are in for a treat with this one, and newbies, enjoy! **No compensation was received for posting. Compensation will be earned if purchases are made from the links within. This copy was won. Opinions are owned by Freda's Voice. 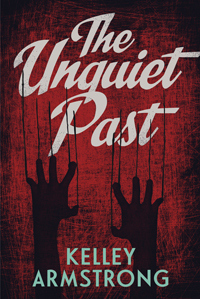 I've enjoyed several of Kelley's other books, so will keep an eye out for this one!